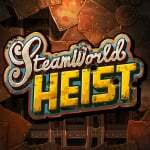 SteamWorld Heist is heading to the 3DS this 'Fall', with a release on Wii U and other platforms to follow, and Image & Form's latest is sure to be one of the eShop's big ticket releases in the remainder of this year. The developer is now back to normal in serving up weekly updates, too, this time focusing on the game's bars. These are areas where you can chill with a drink, "recruit new team members, gather information on your missions and purchase new weapons and upgrades". 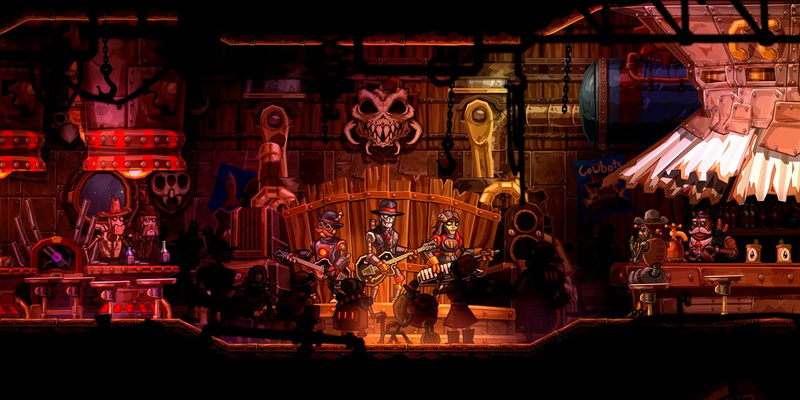 US band Steam Powered Giraffe, which is working on the soundtrack for the game, will also appear in robot form playing some tracks. Image & Form also has a fresh entry for its SteamWorld Ambassador Challenges, in which winners get early access to the game and copies on all platforms. As you can see in the video below and on the studio's official blog, the challenge this time is to submit a good name for a bar in the game. Thankfully you don't need to be of a drinking age to enter. Anyone who wants to can submit this to win: The Nuts 'n' Bolts. Or The Nut and Bolt, for more of a British twist. You're welcome. Oh man that's a good one. Mind if I use it? I said anyone could use it. Can't you read? @SquirrelNuts @SquirrelNuts Sheesh, can't decide who's more nuts between you two.